It’s a tough question to answer accurately since there are so many variables that affect your yields. Plus, as a cannabis grower, you are the most important variable that affects your yields! That being said, it’s a totally valid question! People can be – understandably – timid about starting to grow cannabis and they want to make sure they know what yields to expect. No one wants to invest time and money into something if they feel they won’t be happy with the results. That’s where the “limiting factor” comes in. In nature, a limiting factor is an environmental condition that is key in restricting the size of a population. For example, the number of healthy foxes in an area plays an important role in the rabbit population in the same area. Foxes are a limiting factor to rabbit populations, or, foxes are a factor that is limiting the maximum population of rabbits in their area. When growing cannabis, a limiting factor is something that is key in restricting the amount of bud a grower can harvest. For example, if you grow a high-yielding strain of cannabis under a 600W LED light in a Solo cup, the Solo cup becomes a limiting factor in that it’s the main factor that’s limiting how much you can harvest. What cannabis yields can you expect to harvest from a specific grow light or setup? It would be tough to guess exactly how much you’re going to harvest even with detailed information about a grower’s entire setup because experience makes a huge difference. However, by identifying the limiting factor in a cannabis growing setup, we can get a good approximation of what a grower can expect for yields provided everything goes smoothly. In the next section, we’ll go through 5 aspects of a grow setup that have a major impact on your yields: grow space, grow lights, container, strain and plant training. Although all five of these aspects affect your yields, we only use the grow space, lights and container to give you an expected weight range for yields. I’ll explain that part a little later. Each grower’s unique set of skills can drastically change the amount of bud harvested from a grow. This guide is meant to give you an idea of what ballpark figures to expect; they’re not set in stone! 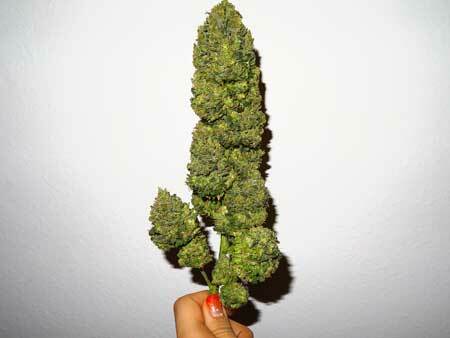 1oz would be close to what a grower should expect to harvest if the plant was unhealthy and grown with less-than-reliable equipment. 10oz would be close to what a grower should expect to harvest if the plant was healthy and the grower used quality equipment. Your ‘Grow Space’ is the area your plants call home. 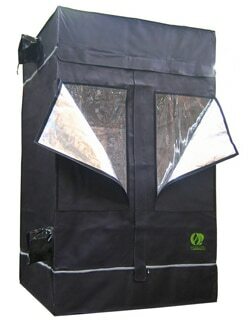 This could be a grow tent, a cabinet, a closet, a PC case, a room in your house or the great outdoors! Basically, it’s the area that physically limits how big your plants can grow (with walls, fences, etc.). Note: If you’re growing outdoors, I’m jealous and I hate you. Awww…I take it back. I could never hate you! Outdoor yields vary wildly depending on the grower, container size and the amount of growing space available. The hours of direct sunlight a plant gets each day also plays a huge factor! 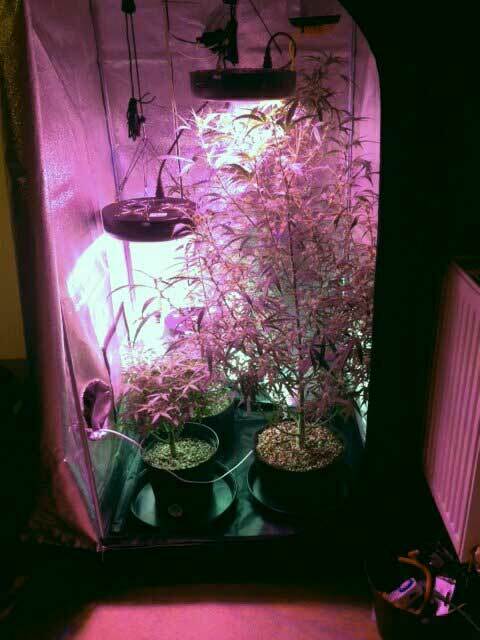 Your grow lights provide the energy for your cannabis plants to grow big, strong and potent! Your grow bulbs produce light, your plants turn that light into energy and that energy fuels the growth of leaves, stems and buds. Generally, more light grows larger plants, but there is such a thing as too much light! 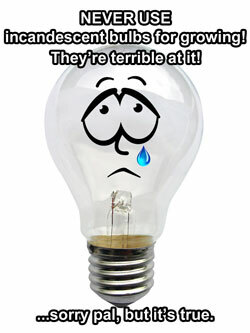 These are the old-fashioned house lights that were replaced with CFLs and LEDs. NEVER USE THESE TO GROW CANNABIS! Usually consists of a bunch of CFLs or a few high-powered ones, 1-3 LEDs (or an array of smaller LEDs), a T5 array, a single LEC or a single small HPS…phew! Can be LEDs, but is generally HPS lighting, especially once you get to 1000W. 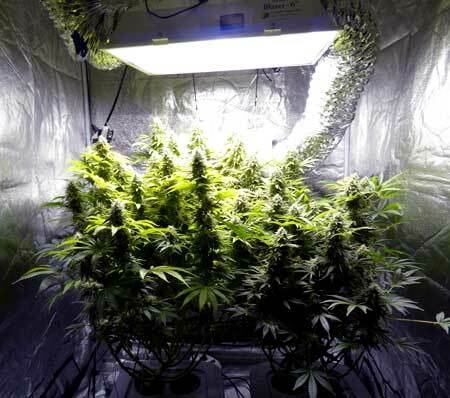 Commercial growers use multiple 600 or 1000W HPS lights which means the potential yields can vary greatly. Bonus Information: Ok, now that we have some examples, here’s the general formula we use to determine what yields can be expected for each type of grow light. This is not exact in any way, but it’s a good place to start if you’re looking for a ballpark figure. When talking about “watts”, I mean the number of watts being pulled out of the wall by the light, not “equivalent” numbers. You’re interested in actual power draw. It’s also worth noting that the Sea of Green technique can utterly destroy these numbers! Think of the container for a cannabis plant as a hard hat. It protects the most important parts of a plant – the roots – just like hard hats protect our most important part: our brain! And just like a hard hat (or a hat of any type, really), it’s very uncomfortable to wear one if it’s too small. 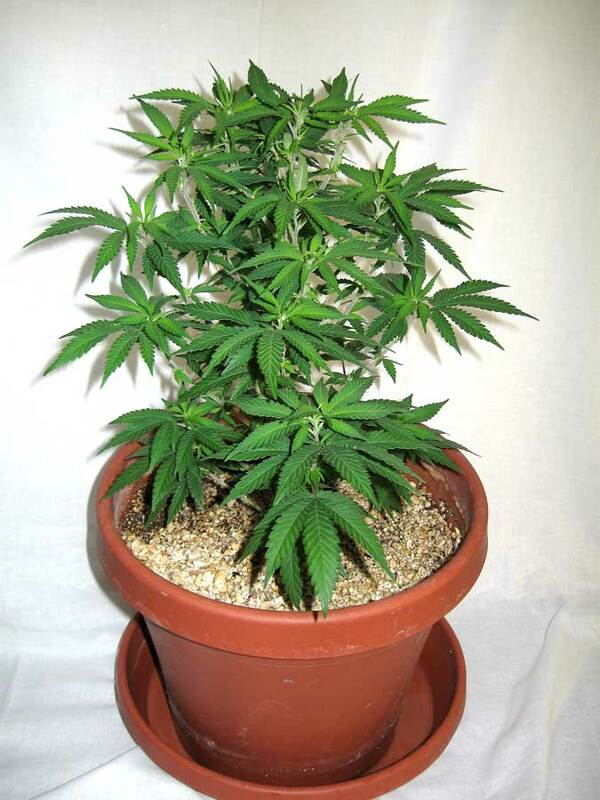 Similarly, cannabis plants don’t like spaces that are too small for their root requirements. 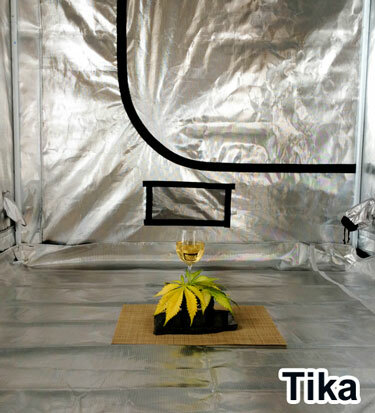 Limiting the size of a plant’s container has a direct effect on the maximum size of the plant, and thus, its maximum yields. Note: Container size is a major limiting factor to final plant size in soil, but DWC/hydroponics containers are not counted in this group. Although root space matters in hydroponics, the rules aren’t the same and larger yields can be obtained from a relatively small space. Solo cups are great for stealth or people that aren’t ready to start purchasing equipment to grow. Expect plants grown in these to be tiny! Expected yields: up to 1 oz. Often used for the Sea of Green (SoG) technique, or as an in-between container during the transplanting process. This can also be a good pot size for someone trying to limit their plant’s growth via purposely making them rootbound. Expected yields: up to 4 oz. For mid-size grows, and smaller grow tents. Expected yields: up to 10 oz. This group consists of pots that are more than 6 gallons in size, or plants that are planted in the ground with plenty of root-room. Over the years, cannabis cultivation has become a lucrative niche for some folks in addition to being a rewarding hobby. This has led to a large availability of high-potency, well-tested and high-yielding strains that available to growers all over the world. We’ve taken a bunch of breeder-specified yield amounts and averaged them to get this range. However, you should always take breeder specified yield amounts with a moderately-sized grain chunk of salt as some breeders tend to overestimate the capabilities of their products…imagine that! In the interest of making sure this guide stays straight-forward, we won’t count the strain towards the limit if only because the information is so unreliable. We’ll give you our version of what to expect and let you make the choice! Important: We believe your personal preferences should always take precedence over possible high-yields. Some strains are bred to be high-yielders, some are bred to be potent and some are bred to look, smell and taste great. Some strains are bred to have a bit of everything, but many strains are bred to just be excellent at one thing. Before you ever dismiss a strain due to its yields, be certain to research its effects first so you don’t pass on something great! Translation: You can expect lower amounts than ‘normal’ with these strains. Some autos can grow 15g, but other autos can yield multiple ounces. If we could make yields into simple numbers, we’d consider this group to produce 80% (0.8) compared to average yielding strains based on the median yield. Translation: Consider this the baseline for a ‘normal’ yielding plant. In our book, medium strains are what we’d consider 100%, so we give these a strain factor of 1.0 based on the median yield. You can grow any photoperiod plant as big as you like so you could definitely yield more, but we’re talking about a medium-sized plant. High yields equate to higher sales for breeders, so you can expect this category to grow faster than the other two. Many strains nowadays fall into this category…or at least claim to! Remember to research and stick with good breeders! Translation: These strains were bred to produce lots of bud, so they typically yield from “a bit more” to “YAAAAAAAAAY!! !” If we could make yields into simple numbers, we’d consider this group to produce 120% (1.2) based on the median yield. Strain makes a huge difference when it comes to yields! 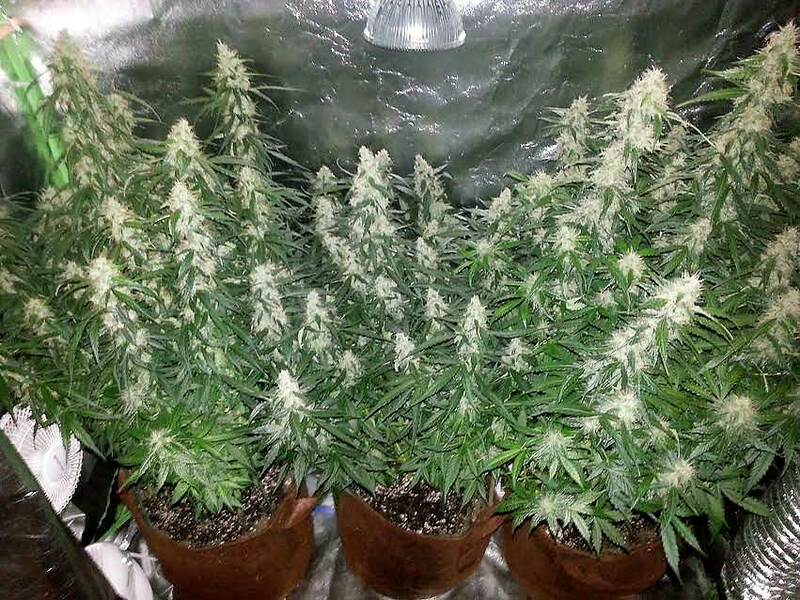 These two auto-flowering plants were grown from seed to harvest in the same setup. The differences come purely from genetics! One yielded an ounce or two while the other yielded several ounces! Training is like putting your plants on an exercise regimen! 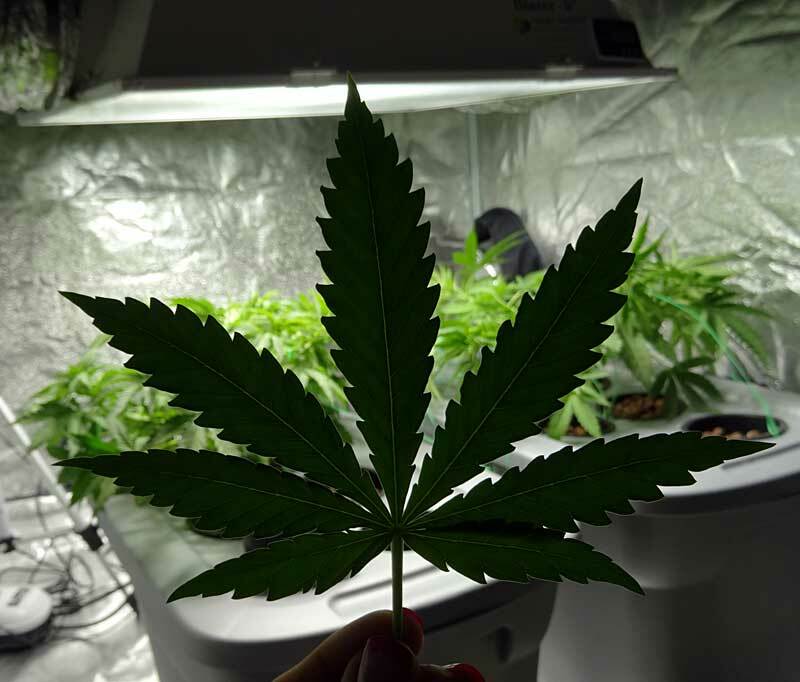 This involves you training the plant into a shape that squeezes bigger yields out of your indoor grow lights while also allowing you to produce bigger yields in a smaller space. You might not be able to turn a naturally low yielding plant into a 2lb plant, but you can definitely make that little so-and-so tougher and more productive than it used to be! Unlike the other sections, training doesn’t limit your yields to a certain amount. Rather, it builds on the traits identified in the other sections; it’s like a bonus! Light training can make for much better use of your indoor grow lights. You essentially are getting more out of the same amount of resources. Heavy training can offer the largest return on your investment, but it also tends to be time-consuming as well as the most dangerous for plants and/or taxing on the grower. Some heavy-training methods can drastically reduce yields or even kill plants when done incorrectly. However, these same methods in the right hands can dramatically increase the amount of bud harvested. -100% to 200%. In other words, ranges from dead plants to harvesting twice as much bud. It’s a gamble for beginners but with a little experience, it becomes free extra marijuana (the best kind)! Alright, so let’s see this information applied to a few hypothetical cases! We’ll tell you about a made-up growing setup, then we’ll determine the limiting factor of their setup by locating the lowest maximum. 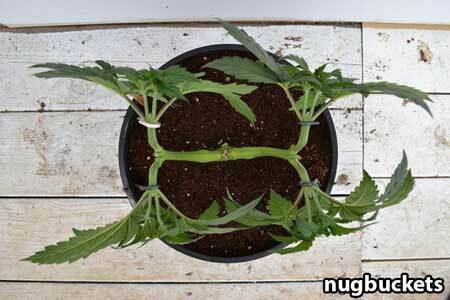 The result is an estimate of what a grower could expect to harvest in an ‘average’ grow. Jim is growing cannabis in a 3-gallon pot in a 4’x4’ tent with a 216W T5 light. Note: This light is a T5 (which gets an average of 0.25g/watt) and pulls 216W out of the wall. Jim can expect about 54 grams or 1.9oz from these lights. 3-gallon container group range: Up to 10 oz. In this case, Jim’s lights have the lowest maximum and are therefore the limiting factor. Jim can expect to grow about 2oz in good conditions or more with successful training. But in order to get significantly higher yields to match the other limiting factors in his tent, Jim would need to upgrade his grow light setup. Robert has some plants growing in solo cups inside a PC case with 150W of CFLs. Side Note: These grow lights are CFLs (which get an average of 0.25g/watt) and they pull a total of 150W out of the wall. Robert can expect about 37.5 grams or 1.3oz from these lights. Robert’s small container and case slightly limit his maximum yields, but overall, this is a good match (though he could go for a smaller light)! Robert can expect to grow as much as 1oz in good conditions. Kayla has the space and container for a massive grow, but her lights will hold her back. She can expect as much as 9oz in good conditions, but bigger lights could yield her much more! Stephen has his plants in a 3-gallon container in a 2’x5’ tent under a 100W incandescent bulb. 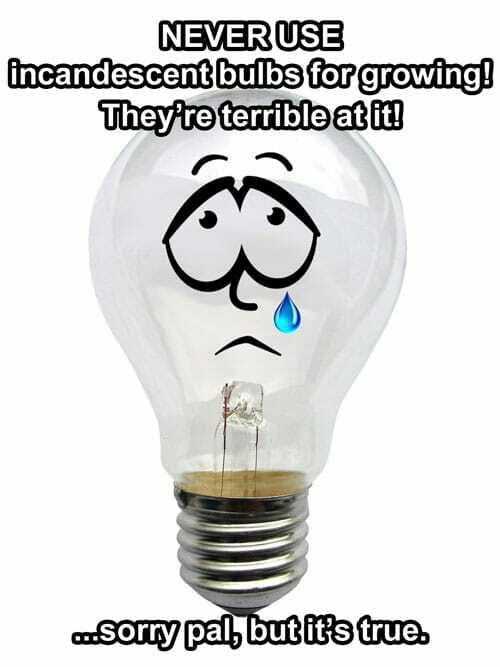 An incandescent bulb?! Bad, Stephen! Go to your room, stare at this picture for 5 straight minutes and think about what you’ve done! 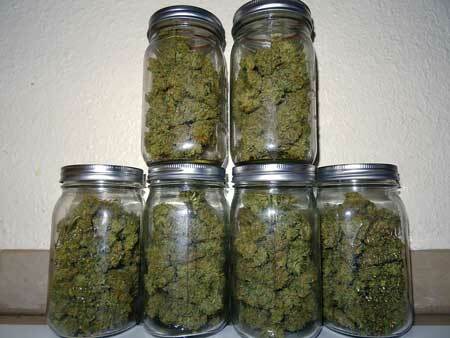 Check Out More Examples of Cannabis Grow Setups with Estimated Yields! Hopefully, this guide has helped to shed a little light on where your yields come from. Again, strains have a major impact on your yields, but until we have more reliable information, it’s best to go with strains you like and judge their performance yourself. Also, don’t forget that good training is like a potential bonus that can increase your yields in addition to our estimations! Finally, remember that this article is just a bunch of general guidelines. We’ve seen growers with numbers that totally break our efforts at categorization and we wouldn’t have it any other way. In fact, we challenge any growers reading this to smash our numbers and force us to rethink averages! Good luck and enjoy your harvest!